Keigo sitting behind a tree surrounded by the depth of the forest was analyzing the information he was given. The scroll told him that he was to receive a scroll that contained forbidden jutsu from the enemy's hand. He also saw the information about the nuke ninja that had obtained the scroll. In total there are seven enemies, two chuunin who are Kenjutsu users but, not to skilled. Four genin who specialize in Taijutsu and the leader who is Special Jounin level and is specialized in Ninjutsu, he tends to use mostly Suiton based jutsu which could be a bit of a problem since Keigo favored using Katon based ninjutsu. Keigo continued to read the scroll and noticed that the nuke ninja were to be killed after the scroll is successful retrieved from the enemy's hand. Keigo rolled the scroll and put it in his pocket. He stood up thinking to himself, "this is the first mission that I would have to take the life of another human being." Keigo was not blind to the reality of being a ninja in this world and knew all to well that sooner or later he would have to do things like this for the sake of the village. He began preparing himself for the up coming battle that was awaiting him. Keigo knew he would have a partner with him on this mission and patiently waited for that person to show so they could quickly complete the mission and collect the scroll from the enemy. Keigo began stretching his legs and arms making sure he was loose and ready, he didn't want to feel like anything thing would cause him any problems completing the mission. "I wonder when my teammate will show up I'm ready for some action right now." Keigo leaned on the tree he was standing by and folded his arms so he could calm himself done and wait for the other ninja to show up. Tsuneo got up,prepared himself,he then left his apartment locking it,and left to the dense forest he had a another mission assigned to him,except this time he is going with someone,and also this mission was a B-Ranked mission,that required Tsuneo to kill a Nuke-Nin,Tsuneo was aching to kill,and he finally had the chance,Tsuneo didn't bother wasting time,he ran full speed to the meeting place,after about five minutes Tsuneo reached the place of his meeting,and as usual he moved like a shadow,he patted the shoulder of his partner,"Uzumaki,Tsuneo",Tsuneo spoke as he patted the man's back,he spoke saying his name with a rather cold tone,"what are we waiting lets go" more few words said by Tsuneo,with a calm yet excited tone,Tsuneo waited as the man introduced himself,and after being done with introduction,he started running to their so called destination,the hide out of their targets,soon after minutes of running,they seemed to have reached the destined place,Tsuneo stood on top of a tree and called partner using hand signs,he wanted to discuss strategy with him,taking the best course of action,strategy always was the winning card,Tsuneo was good strategist,and as this is the first time he is partnered with anyone,and for so he had to use his partners power to gain the edge in this mission,and so was his partners smartest choice was,team work,although Tsuneo is not familiar with it,he knew it would be the best strategy against their opponents,Tsuneo asked his partner about his elements and specs,as he introduced his saying"i use raiton,and katon,i specilaize in FuuinJutsu,and in Ninjutsu,what about you. "Tsuneo's words were brief,not too long ,and simplified.Tsuneo heart was racing he finally had the chance to kill,he was aching for a moment such as this one,and now since he was allowed to do so,there was no need to hold in all the pent up anger,and the controllable blood Lust,he knew not much about his partner,it was the first time they meet,this had Tsuneo worried,he knew not a thing about his partner's fighting style. Horse,Tiger,Boar,Hare,Rat,Dog,hare,Rat,Bird,Tiger,Horse,Tiger,Boar,Hare,Rat,Dog,hare,Rat,Bird,Tiger,Tsuneo would then place his right palm on the shirt under his trench coat,while his right palm was still placed on his shirt,he channeled Katon chakra into the seal,sealing his Jutsu as he said it's name"Lightning Release: Shock Bullets",a quiet stealthy voice,it seemed like a whisper,Tsuneo always used this seal to seal his own NinJutsu,to startle the enemy with it,he would only unseal the sealed jutsu when he had his target cornered,until then his Jutsu remains sealed,Tsuneo always had his guard up,he got into a battle stance,while on top of a tree,and prepared for invasion,it was about time,show time that is,their battle,have not began,but Tsuneo could only see himself standing amidst their corpses. Description: Electricity is built up in the fingertips of the user who then makes a gun-like pose with their hands (both middle and index finger extended). From this position "bullets" of electricity may be fired at will that travel 10m/s. These bullets deliver painful shocks at the point of contact and can singe clothing and leave 1st degree burns due to releasing its charge upon impact with any solid object. The resulting impact is enough to parry/redirect small projectiles (kunai/senbon/shuriken) midair, but are non-lethal as they lack the ability to pierce flesh because of the discharge upon impact. One or both hands may be used, but only 15 "rounds" in total may be fired before the electrical charge in the user's fingertips is depleted. No hand signs are necessary to initiate the jutsu allowing for a fast draw. he wants to seal . 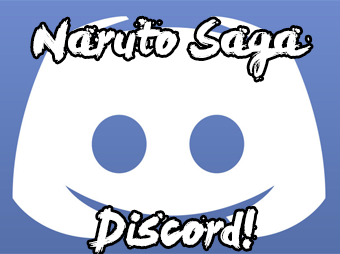 the user can only seal his own jutsu. this jutsu is used to attack the opponent from other positions. to release the seal and cast the sealed jutsu the user slams both of his palms. Keigo felt a hand touch his shoulder and uickly heard a name, " Uzumaki, Tsuneo" Keigo was glad to see his partner had finally arrived and knew it was time to head out for the mission. "Keigo Uchiha nice to meet you " Keigo kept his introduction short as well. He knew his partner was ready to head out as well because of the statement he made after Keigo introduced himself. Keigo quickly made his way up toward the tree tops headed toward were the enemy was located and was ready for anything that was waiting for the two Konoha shinobi. Keigo began jumping from branch to branch with his partner right behind him. Keigo thought to himself since the enemy outnumbered him and Tsuneo, they had to make sure their teamwork was in good sync, plus they had to make sure the enemy was terminated along with retrieving the scroll. Keigo and Tsuneo finally made it to the area were the enemy was gathered. Keigo scanned the area and saw the enemy a few meters ahead of where they stopped. He was glad their presence wasn't noticed by the enemy. Keigo soon heard Tsuneo asking about his specializations and elements he used. Keigo suspected he wanted to know all he can about his skills so they can be well informed about each other before taking on the enemy together. Keigo knew this guy was thinking the same as him when I came to their team work. Tsuneo told Keigo all he was skilled in so Keigo told him his skill set as well, "I specialize in Ninjutsu and my Taijutsu is pretty good as well and I mainly use Katon Element and my Fuutun is average at best." 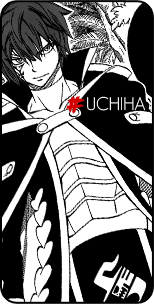 Keigo failed to tell him about his Sharingan feeling it wasn't necessary since he suspected Tsuneo knew he was an Uchiha, plus his outfit gave it away as well because of the Uchiha Symbol on his back. Keigo saw Tsuneo weave a few hand signs and activated some sort of jutsu. He must have did something to himself for the battle, keigo was interested in finding out once they entered the battlefield. Keigo knew there was no time to show mercy on this mission, he closed his eyes for a second and reopened them with the Sharingan activated. " I guess it's about that time" Keigo looked at Tsuneo, "so do you have some sort of plan because right now im boiling for some action" Keigo was totally focused with his Sharingan in full effect starring down the enemy with such an aura that Keigo himself subconsciously couldn't believe. Keigo jumped do from the branch he was standing on toward the ground. "Want me to surprise them with a giant fireball" Keigo was feeling different from how he usually felt. It was most likely from the feel that was in the air. The mission was a life or death mission, where ether he killed the nuke ninja or he be killed. Keigo had to much to accomplish so this mission would be a giant step toward the goal he is trying to accomplish. Keigo began walking slowly toward the enemy knowing his presence was hidden by the many trees that surrounded them. Keigo continued walking while also listening for a plan from Tsuneo. "If you don't have a plan I have one in mind." Keigo was ready for action and he hoped Tsuneo was having the same feeling. "I'm waiting my friend because right now I am in the zone and no one is going to slow me down" Keigo was feeling excitement and no other feeling mattered during that moment. Tsuneo had just heard about his partner's specs from him,he also heard him say something about surprising them,and something about a plane,Tsuneo replied to his partner"i have a plan,but we must ignore our feeling,and act according to plan,since my weakness is taijutsu,I'll have you take over the four genin i will hinder their movements by my chains,leave the sp.Jounin to me since i use raiton he is my perfect match,but before we handle the genin,we'll take care of the chunins you'll take one down and so will i,and as i said earlier I'll hinder the genin with my chakra chains,and you'll take em out,as you take them out,i'll be done with the sp.jounin,and come assists you if you need help,but i dont think you will,but just in case anything happens signal it to me,remember the two chunins first,but for now i want you to startle them with you're katon jutsu,and it may be best to inform you,i cannot use chakra when my chains are out,this is whats this babe here for"he signaled at the seal he placed on himself,he then said"are you ready? ",Tsuneo said waiting to hear his reply,Tsuneo then ran rushing into their hideout,the plan was greatly detailed,but to Tsuneo it was a good way to kill all of the ones that would stand before him,he thirsted for blood. not realizing what had happened to his face,Tsuneo smiled a beautiful devilish smile,that clearly said,Kill,Tsuneo the spoke just to make sure saying "dont forget our main target is the scroll"Tsuneo had done well for his first killing mission so far,he stayed collected,and never forgot the main objective of this mission. Tsuneo respected his partner,his partner seemed to be well informed,and well prepared,throughout his life Tsuneo always respected uchihas,they were the symbol of power in Tsuneo's eyes,which gave Tsuneo the motivation to grow stronger,and back up the name of the Uzumaki clan,as he had always held pride in being an Uzumaki,although people always mistook him for an Uchiha for the way he looks. Tsuneo said to his partner in a quiet whispering voice"lets explode like a bomb"
"I have a plan,but we must ignore our feeling,and act according to plan,since my weakness is taijutsu,I'll have you take over the four genin i will hinder their movements by my chains,leave the sp.Jounin to me since i use raiton he is my perfect match,but before we handle the genin,we'll take care of the chunins you'll take one down and so will i,and as i said earlier I'll hinder the genin with my chakra chains,and you'll take em out,as you take them out,i'll be done with the sp.jounin,and come assists you if you need help,but i dont think you will,but just in case anything happens signal it to me,remember the two chunins first,but for now i want you to startle them with you're katon jutsu,and it may be best to inform you,i cannot use chakra when my chains are out,this is whats this babe here for" Keigo listened to the plan Tsuneo laid out and was satisfied with it, he just wanted to get the mission over with. "Well it's now or never lets do this already. " Tsuneo agreed saying, "lets explode like a bomb." Keigo didn't forget ether about there objective which was to secure the scroll. He believed the Special Jounin would most likely be holding the scroll. Keigo quickly ran up a tree near by to run up to the branch to get a better view and aim of the enemy. He then formed a Tiger hand seal and took a deep breathe filling his throat and lungs with chakra " Fire Style: Great Fireball Jutsu", then he exhaled a large stream of flame that quickly took the shape of a large ball of fire. The large fireball shot toward the enemy camp like a raging bull and blasted the center area where they were surrounding. The blast sent out miniature flames that landed on the surrounding area. The enemy seemed frantic and began looking for where the flame came from. During the blast Keigo quickly made his way down from the tree top using the blast as cover. Keigo noticed a ninja with a sword in his hand looking confused from the chaos, so Keigo took that chance to surprise his opponent. Keigo quickly struck his opponent with a kick to the side of his head. The chuunin stumbled from the blow and was greatly staggered. Keigo quickly moved in and landed another strike to the chuunin's face causing him to fall to the ground. The blow also caused the chuunin to drop his sword on the ground. "Guess that sword wasn't important to you" Keigo picked up the sword and placed the blade centimeters away from the chuunin's neck and asked him who has the scroll. The chuunin did not say a word to Keigo and looked at him with anger. "No answer this is good night for you" Keigo had thrust the sword straight through the Chuunin's neck which killed the chuunin instantly. Keigo did not feel anything after killing someone for the first time. Keigo began dashing through the area looking for more of the enemy and quickly ran into the four genin. "Four against one bring it on" Keigo knew fighting the four genin would not be an easy task. One by one each genin ran toward Keigo delivering kicks and punches. Keigo was able to dodge and block each blow that came his way and he tried to counter with blows of his own, but he was also being countered as well since the genins were specialized in taijutsu. "Glad I activated my Sharingan it's the only reason I am able to counter all four of them at a time." The genin continued attacking Keigo with him countering each blow barely. "Come on Tsuneo I need those chains just about now." As Keigo listened to Tsuneo's plan,although feint,but a satisfied look would appear,Keigo then said"well,its now or never lets do this already",Tsuneo replied saying"Lets explode like a bomb". 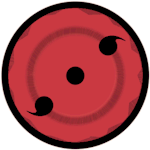 Tsuneo grabbed the chunin from his neck,and as he brought the chunin's ear close to his mouth,Tsuneo said horrific words silently so that no one would hear him,the chunin panicked like a wild boar confessing the scroll was with the Special Jounin,Tsuneo choked the chunin from his neck,breaking it as the chunin droll fell off of his mouth,Tsuneo had killed him,and surprisingly,a satisfying feeling hit him,which only made him thirst for more Death. Tsuneo being done with Chunin,Tsuneo noticed the Special Jounin,and ran towards him,he had the look of a crazed beast,though still he collected himself,looking over at Keigo,he had already engaged with the four genins,Tsuneo waited for his partners call and went to his target Tsuneo would then yell "Raiton:Kage kazaguruma no Jutsu"Tsuneo created a shadow windmill of lightning,it required high chakra control,it was jutsu he created himself,as usually did,the special Jounin surprised by the sight of Tsuneo's,he had attacked with a water whip,by that time Tsuneo ran towards the target holding his right arm,as a large amount of lightning formed in the shape of a shadow windmill,surprising the Jounin but still he continued with his attack,Tsuneo threw the lightning shadow windmill,as it slashed through the whip made out of water slicing about two centimeters in the targets chest,the speed of this jutsu was devastating as it can cross twenty five meters in three seconds,the distance between Tsuneo and the jounin was less than ten meters,later on Tsuneo heard his partner speak saying"come on Tsuneo,"i need those chains just about now",Tsuneo heard him and replied by raising his left arm to the left,as six four chains,came out of his open palm chaining them with a B rank chakra chains,Binding them in place,it was almost impossible for them to break free as genins,Tsuneo is now incapable of using Ninjutsu,though this was the main idea of his sealing jutsu Tsuneo continued running towards his target,as he slammed his palms together releasing the Ninjutsu he sealed earlier,Tsuneo said in a quiet voice "Lightning Release: Shock Bullets",as fifteen rounds of lightning bullets were shot from the seal straight to the Jounin,the chains remained,Tsuneo then let out another chain from his stomach this time binding the jounin in place,he finally used his sealing jutsu,he created it,in order to use Ninjutsu when his chakra chains were out,in other words when he couldn't when he couldn't,and whenever he wants to attack with the sealed jutsu he just has to break the seal,and the jutsu will be auto cast-ed straight towards the enemy. Tsuneo grabbed the sword from the chunin he killed earlier,and ran towards his target,piercing thru his heart,as he killed the nuke-nin,he made sure the sword wouldn't pierce throughout his back as he had the scroll there. Tsuneo then carried the scroll,looking towards Keigo to see what has happened with him. Keigo Continued to battle with the four genin countering every blow that was thrown his way. "Dam you genin are annoying, so much potential wasted." Keigo was putting up a good fight with the four genin with just his taijutsu but knew if Tsuneo wouldn't hurry with those chains the fight could become one sided. Before the genins could attack him again he soon saw a bunch of chains wrap around the four genin completely stopping their movements. Keigo smiled "Thanks partner, well this is the end of the road for you four and you had so much potential as shinobi, but once you committed this crime against Konoha your faiths were sealed." Keigo began inhaling chakra within his throat "Fire Style: Great Dragon Flame" then he exhaled a large flame that took the form of a large dragon head and shot straight toward the four genin engulfing them completely in the flame and their bodies completely charred from the explosion. Keigo looked as the bodies were continuously being over taken by the flames. "Well I guess it's over I wonder if Tsuneo has retrieved the scroll yet." Keigo turned around to see the area covered in chaos and blood. He also saw Tsuneo and walked toward him, "Looks like you retrieved the Scroll so lets head back to the village and report the mission a success."